The bible is full of places which proclaim the importance of family. In the book of Ephesians, Paul encourages the church to stay united and one of the areas of the church he specifically applies this to is family (Ephesians 5). It is important that we keep our families united and we that help those whose families are already broken. If we consider ourselves to be a redeemed family, it’s only natural that we do what we can to build up the families in our church. We offer pastoral counselling, marriage courses, parenting courses and constant opportunities to meet up with other couples who are walking the Christian road. Being engaged can be an exciting time. It’s planning for the ‘big day’, it’s bachelor parties, kitchen teas and the realisation of knowing that the love of your life is going to be yours forever. During this time, it’s wise to seek godly wisdom so that when the ‘big day’ is over, you don’t start off on the wrong foot. We offer a pre-marital course where for 6 weeks, you and your fiancé meet with an experienced couple, to work through what the bible has to say about marriage. You’ll have a chance to learn from their marriage, see the struggles that others face and as you work through your own issues, you’ll be illuminated by God’s word. Our Lord of the Rings course helps you to look at your marriage under a magnified glass. Through discussion and experienced guidance, you will learn how to ground your marriage in the Gospel. Another course we run is the 5 Love Languages Course, where we analyse the different types of love in relationships. Lastly, we have pastoral counselling where anyone may meet up with one of our trained counsellors. Below shows the next time the course will be running. We’re all in a relationship somewhere. Whether it’s in friendships, marriage or family, we all need help in speaking the language of love. This course helps you discover that there are 5 love languages in the universe. You will find out which ones you speak and which ones those closet to you speak. The 29th of July will be a day where you learn to better understand yourself and those around you. This course is not ‘in your face’ Christian and is a wonderful place to bring un-believers who may not be comfortable in church environments. If you are a Christian, this is a great way to improve your own relationships and give your un-believing friends a window into your Christian world. Friendships matter, marriages matter and family matters to you and to God, here’s a great course to strengthen these. Are you a parent who knows exactly what you are doing? Do you get it right 100% of the time? The answer is “No, we all need help.” Through this course, we get some professionals to help you with being a parent. This is a place where you can safely share your struggles, hear from others and open up God’s word to find out his plan for parenting. This course is not just for those who are struggling as parents, it’s for all parents who want to make sure they are doing their best to raise their kids in the way God intended. 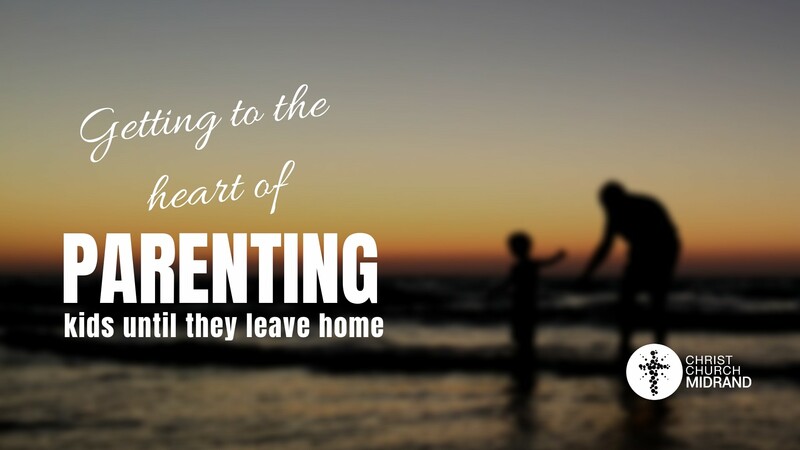 Please check our diary or listen out at church on Sunday to see when our next Parenting Course will be.